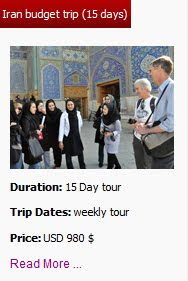 If it's your first time to Tehran, the capital of Iran, you'll probably want to spend some time at the world-renowned Milad Tower, Carpet Museum and Golestan Palace, but don't miss out on other notable city jewels such as the Nature Bridge, Abgine Museum or Chitgar Lake. 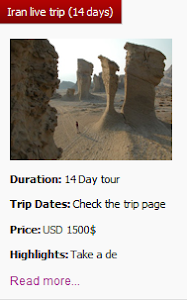 Nature Bridge, which is called Tabiat Bridge in Persian, Is one of the most famous bridges in Iran and entire world. 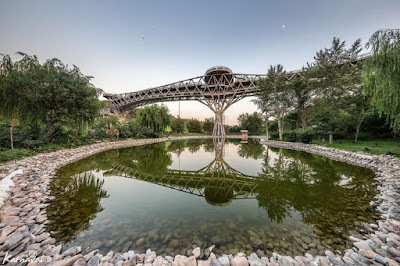 Built by the designs of the architect Leila Araghian, this silver bridge connects Ab-o-Atash and Taleghani parks, from west to east, separated by a highway in north Tehran. Construction of this 300 meter long bridge lasted between 2012 and 2014, making it the largest pedestrian bridge in Iran. The bridge consists of a three dimensional truss with two continuous levels that sits on three tree shape columns. There are two platforms on top of the main columns forming the third level viewpoints. All the levels are connected to each other by stairs and multiple ramps, providing multiple paths throughout the bridge to get from each level to another. Tabiat Bridge weighs more than 2,000 tons, needed more than 14,000 pieces of steel in different sizes, and is built over 40 meters above the ground. 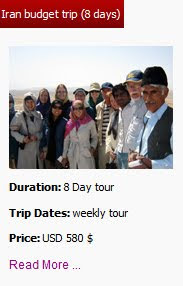 This Bridge is of great value in terms of architecture and tourism and has become a popular place for hangouts and morning sports for locals and travelers. Uppersia suggests you to Step inside the most fabulous bridge in Tehran and explore its iconic structure and spectacular views every day from 8am to 11pm.